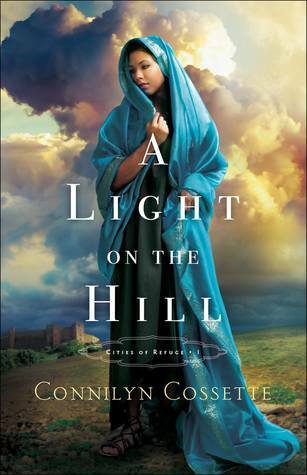 I have recently realized that I have been following Connilyn from the beginning of her career as an author. Every thing I have read from her has been gripping and hard to put down. This book is no exception. I was tied in knots the entire time. There were so many interesting facts that I learned reading this book. I knew what cities of refuge were, but had no clue about the complexities of the law. If you accidentally killed someone, you could go to a city of refuge and ask for trial because the next of kin could legally kill you. I never thought about how hard or treacherous these journeys could be. If the avenger beat you there, he could kill you at the gate. The romance sometimes seemed over the top to me, but it definitely kept me tuned in to the story. It also showed what happened to these people who were forced to leave their families and live in these cities when an accident had occurred. The thing that sticks out to me at the end of the book is the fact that when the high priest who gave them asylum in these cities dies, all the manslayers (accidental killers) go free. His death pardons all of their sins. What a clear picture of the gospel. This book was graciously given by Bethany House Publishers for review.